With the new public discussion on sexual harassment and assault, companies can’t afford to ignore gender discrimination in the workplace. Turning a blind eye to inappropriate comments, a pattern of promoting men over women, or creating unfair requirements is not an option. Here is a primer on discrimination in the workplace. Treating men and women differently in the workplace is illegal. Sometimes, it’s obvious when this is happening. For example, if your company has a pattern of promoting men over women, it may be engaging in gender discrimination. If the women on your team often experience belittling comments, or are treated differently from the men in the workplace at all, you may have a serious problem. No one should have to endure unwanted comments on their appearance, or made to feel uncomfortable in their workplace. Parental leave policies must apply equally to all employees; it’s illegal to offer new mothers more time off than new fathers. Pregnant women are entitled to the same promotions and job benefits as all other employees. Other forms of discrimination are harder to catch. In many cases, there may be one particular employee who is engaging in harassment. Many women don’t complain for fear of retaliation. Make sure that your business does not promote a hostile work environment. It’s crucial to look into every single complaint and take proper action immediately. Shocking as it may sound, some forms of gender-based discrimination are still legal in the modern workplace. Companies can require different dress codes for male and female employees. It’s acceptable to make female employees wear make-up at work. Many women report the experience of getting fewer tasks or less essential tasks on the job. Some women even see a difference in the cleanliness of men’s and women’s facilities, particularly if there are few women in the workplace. In general, these policies are hard to write and justify without the help of an employment attorney. Bill Cosby, Louis CK, Harvey Weinstein, and dozens of other famous men have been accused of sexual assault or misconduct in recent years. Their accusers have brought the spotlight onto the issue of gender-based harassment in the workplace. Bill Cosby has had honorary degrees revoked, Louis CK has had performances canceled, and Weinstein is no longer allowed to work at his company. These actions have shown that sexual harassment is not acceptable. Perpetrators will face the consequences. In the coming years, companies are likely to see more and more employees fighting back against unwanted attention, partially motivated by the successful conviction of celebrities. Everyone, male and female, is protected against gender-based discrimination. Men have successfully sued companies for refusing to employ them. For example, a beauty company, Ventura Corporation, had to pay over $350,000 to settle a lawsuit stemming from their practice of not hiring men as sales representatives. Restaurants also find themselves in trouble. Both Hooters and Lawry’s Restaurants, Inc., has faced multi-million dollar lawsuits over refusals to hire male waiters. 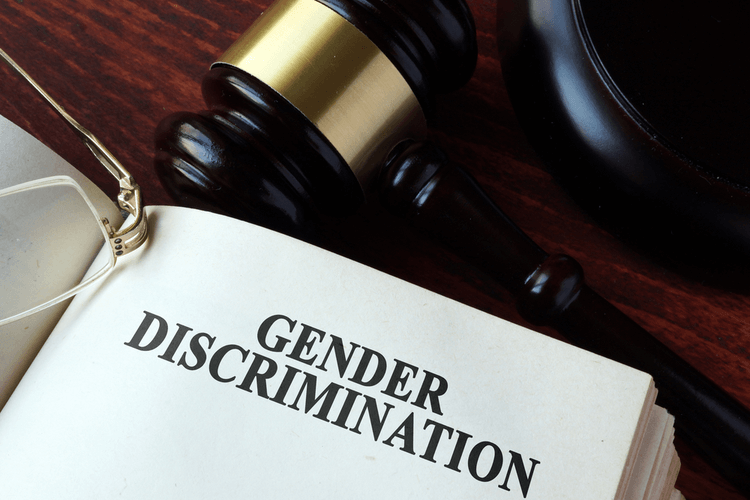 If you have previously or are currently experiencing gender discrimination, seek the help of an attorney. Michigan Legal Center has 20 years of experiencing fighting against discrimination. We can help you get the equality you deserve. Contact us at (800) 961-8477 for a free case evaluation. Our phone line is available 24/7.